Renee de Rieux, demoiselle de Châteauneuf. Home » Renee de Rieux, demoiselle de Châteauneuf. Renee de Rieux, demoiselle de Châteauneuf (1541 in Brittany; † 1582 in Florence) called La Belle Châteauneuf, was a mistress of the French King Henry III. 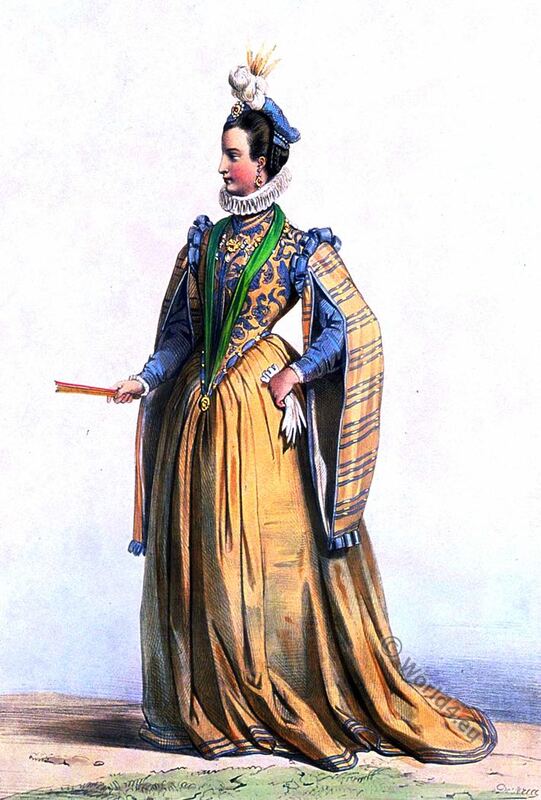 French lady of the time of Henry III. Renaissance style in the 16th century. Louis XIII. Ancien Régime. Renaissance, Baroque, Tudor fashion era. 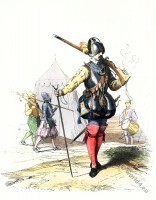 Arquebusier in 16th century. French military 1572. Don Juan de Austria in Spanish court dress 1572. Italian Armory from Turin. 16th century. 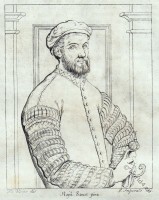 Antonio Tebaldeo. Italian poet of the renaissance. 16th century. A German scholar and a citizen. Cretan costume, ancient and modern. Italian Renaissance. Venetian Nobility in 1531. Knights tournament. 16th century cavalry. The Hennin. Headdress 15th century. Medieval Burgundy era. King James I of England, son of Mary Stuart, Queen of Scots. The Gunpowder Plot. England history. Sir Francis Drake. England history. The english boy king Edward VI. England history. Relics associated with Queen Elisabeth. England history. This entry was posted in 1574, 16th Century, Ancien Régime, France, Nobility, Renaissance and tagged Costumes historiques de ville ou de théatre, Renaissance fashion era on 7/16/16 by world4.